Few among us could have anticipated a premature end to Andy Murray’s illustrious career. Whether we have seen the last of the three-time Grand Slam winner, or he bows out on home soil at Wimbledon this summer, he has already carved out a historic resumé at the age of just 31. 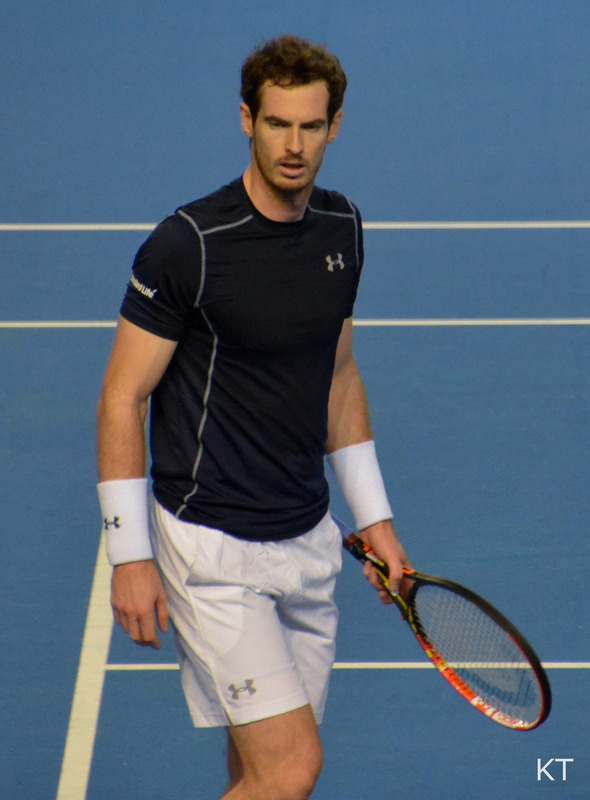 He delivered a win at the sport’s most famous tournament that was 77 years in the making, became the first player to win back-to-back singles Olympic gold, and he established himself as one of the best sportspeople Britain ever produced. His list of accomplishments is long but perhaps the biggest compliment one could pay Murray is simply the phrase ‘Big Four’. Not the ‘Big Three’ of Federer, Nadal and Djokovic. Murray was good enough to break into that incredible group. Feel free to sneer and say he’s the weak link but being fourth best behind those three is not an insult, it’s one of Murray’s crowning achievements. He never had Roger’s finesse, Rafa’s athleticism or Novak’s precision. He was just a perpetual entertainer, whose unbridled emotion on the court inspired millions and provided us with some of the best matches tennis has ever seen. Murray’s greatest quality as a tennis player was his intelligence, and he brought that off the court in a way his rivals failed to. Say what you will about Andy Murray the man. His dull press conferences, that Christmas jumper photo and his overall passive attitude make a mundane impression. Mocking Andy Murray the man totally ignores the bigger picture and borders on tarnishing his good name. In a sport where the privileged few do nothing to advance the position of women’s tennis, Murray championed his counterparts. He became the leading, and perhaps the only prominent voice of equality in tennis among male players. Hiring Amelie Mauresmo as a coach was a move that brought with it a firestorm of controversy when it ought to have been a run of the mill decision. Murray didn’t bring her in to score political brownie points. Quite the opposite. He hired a two-time Slam winner to help improve his game, in spite of the scorn and ridicule that inevitably came his way. After losing to Sam Querrey at Wimbledon in 2017, he famously corrected a reporter who said Querrey had become the first American to reach a Slam semi-final since 2009. That Murray press conference wasn’t boring, it was refreshing and often just as watchable as his on-court exploits. We never want to miss a moment of the action at a Grand Slam, but Andy Murray playing at Wimbledon has been particularly must-see television for years now. I tend to actively root against British sportspeople, but as a tennis fan it was impossible to not buy in to the anticipation around Murray at the All England Club. His finest hour came at last in 2013 when he beat Djokovic in straight sets on Centre Court and there was such joy surrounding the moment that you just had to buy into it. Indeed, it was his rivalry with Novak Djokovic that defined Murray’s career. They crossed paths on ten occasions at Grand Slams including seven finals. Murray triumphed in 2012 at the US Open and, of course, his finest hour came in 2013 on Centre Court. He reached the final of the Australian Open four times, meeting and falling to Novak each time. For a player of his calibre, it was a huge stroke of misfortune for Murray to have played in this era. At any other point he surely would have won more than three Slams. In eleven career Grand Slam finals, Murray played either Federer or Djokovic ten times. His second Wimbledon win in 2016 over Milos Raonic is the only exception. He met Federer in a further semi-final and quarter-final, and came up against Nadal in four semis, two quarters and a round of 16 match. He can be forgiven for coming out second best more often than not, considering his main rivals were the three greatest players to ever grace the game. He had to beat both Djokovic and Federer on the way to Olympic gold on home soil in 2012. Andy Murray faced arguably the greatest degree of difficulty ever seen in an individual sport, and still won his fair share of silverware. It all amounts to a landmark sporting career. Murray was so great that ending the 79 year wait for a Davis Cup feels like an afterthought. Our friends across the water are often guilty of excessively fawning over their athletes. It’s fortunate that the media will glorify Murray as a great, perhaps even the greatest, British sportsperson. Such admiration is something Murray certainly deserves, but will never receive from his own sport. There’s already talk of a statue in his honour at Wimbledon. A fitting tribute for Sir Andy Murray, as intelligent a player as he is a man, a pioneer for equality, a world number one, and someone those who truly love tennis will miss dearly.